I didn’t think it was possible, but the Sonos line of speakers are about to get even better. In a blog update today, the company announced that a future software update will render the $50 Bridge device obsolete. If you’re not familiar with the music system, the pictured bridge is a required piece of hardware that plugs into your wireless router. It creates a dedicated wireless mesh network for the products to connect with each other. We’ve found a way to deliver all the benefits of SonosNet without a product directly connected to your router. This new software solution will make Sonos simpler than ever. Start with a speaker and your smartphone, enter your WiFi password and Sonos takes care of the rest. We will maintain the core function of SonosNet so that – when several players are linked together as a group – they continue to communicate directly with one another, keeping your music in perfect sync. 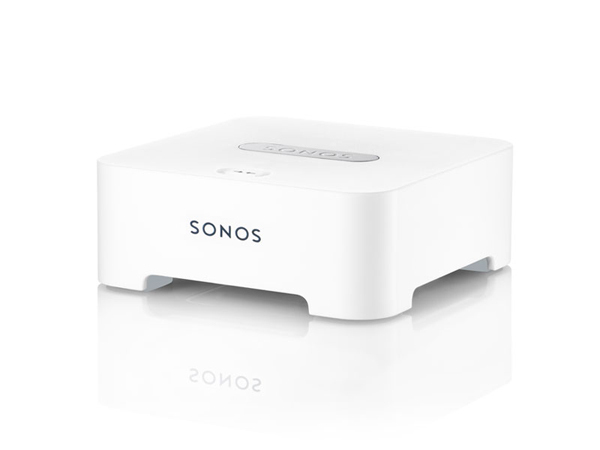 There are some large homes, where all players are not in the range of the WiFi signal or challenging network environments, that will still benefit from the Sonos BRIDGE, but our diagnostics and early testing show that the majority of homes will work well with the new software solution. That’s great news, and will make it even easier for new users to get on board with the system. Sonos said the software is currently undergoing beta testing. And Sonos is also working on improving its app for iOS devices. In March, a report surfaced that a redesigned version of its controller app for the iPhone/iPod touch and iPad/iPad mini will be released sometime this spring. The new app will focus on universal search and allow users to discover artists through one compatible music service and listen to them on another. Podcasts will also play a bigger role in the updated app. While the company’s hardware previously focused on the higher end of the market, it broke through last year with the Play:1 speaker. The $199 device is priced to compete with similar Bluetooth options, but offers a number of advantages. 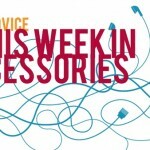 For other recent accessory news, see: MagBak Is A Simple And Minimalist Mount For The iPad Air And iPad mini, Anki Drive Adds New Race Mode, Cars And Tracks, and This Week In Accessories: Grovemade Bumper For The iPhone And More.